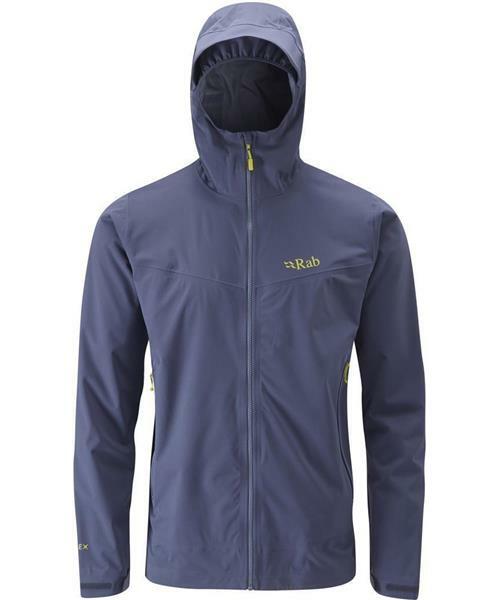 Designed with Kinetic, the Rab® innovation and breakthrough in protection and flexibility, this jacket uses Rab's Proflex™ fabric technology for maximum built-in stretch. This allows incredible freedom of movement when climbing and moving fast. With Kinetic, for the first time, your outer protective shell clothing can have unimpeded mobility as well as incredible comfort and softness. Designed for day-long use in challenging, changeable weather conditions, the Men's Kinetic Plus Jacket has a waterproof component hidden inside: a high performance, flexible membrane with a waterproof measure of 10,000mm and an exceptional breathability level in excess of 35,000cc/sqm/24hrs.